"We need to take action and we will," he told US public radio network NPR. 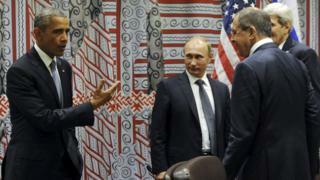 The accusations, without evidence, are "unseemly", Russian President Vladimir Putin's spokesman said. 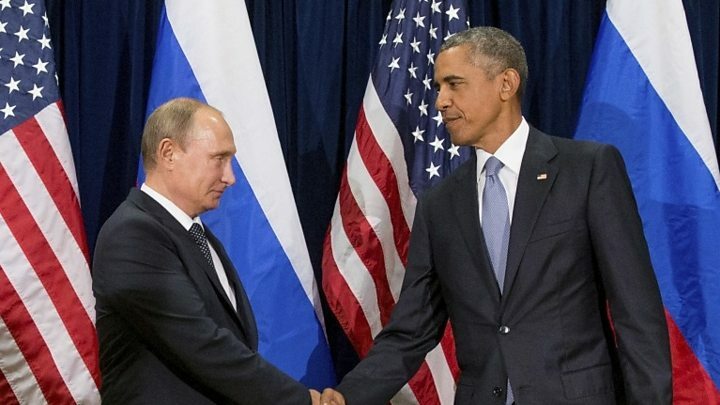 Hours later, Mr Obama said: "I think there's no doubt that when any foreign government tries to impact on the integrity of our elections, that we need to take action and we will, at a time and a place of our own choosing. The Russian president's spokesman, Dmitry Peskov, dismissed the claims of Mr Putin's involvement as "laughable nonsense" on Thursday. And on Friday, he said: "They should either stop talking about it or provide, at last, some evidence. Otherwise, it all looks rather unseemly," according to RIA Novosti. Are there any Trump links to Putin? Is Russia hacking US election?